Michal ZimmermannPieces of knowledge from the world of GIS. QGIS 2.1x is a brilliant tool for Python-based automation in form of custom scripts or even plugins. The first steps towards writing the custom code might be a bit difficult, as you need to grasp quite complex Python API. The QGIS Plugin Development series (see the list of other parts at the end of this article) targets pitfalls and traps I’ve met while learning to use it myself. 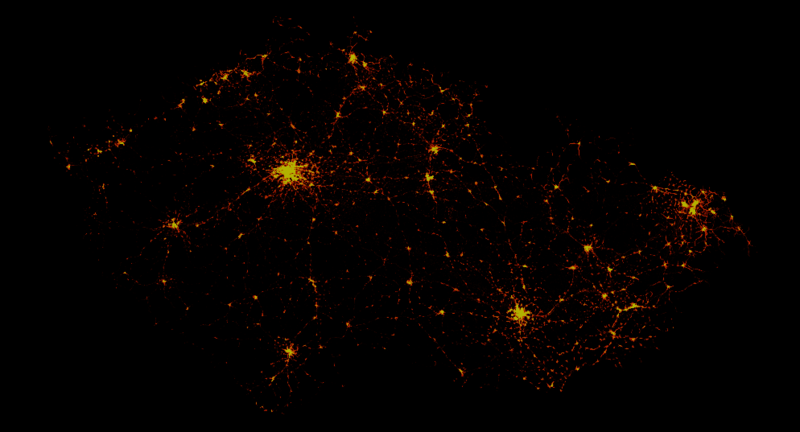 The outcome of the series is going to be a fully functional custom plugin capable of writing attribute values from a source layer nearest neighbour to a target layer based on their spatial proximity. In this part, I’ll mention the basics a.k.a. what is good to know before you start. Different QGIS versions come with different Python API. The documentation is to be found at https://qgis.org, the latest being version 2.18. Note that if you come directly to http://qgis.org/api/, you’ll see the current master docs. Alternatively, you can apt install qgis-api-doc on your Ubuntu-based system and run python -m SimpleHTTPServer [port] inside /usr/share/qgis/doc/api. You’ll find the documentation at http://localhost:8000 (if you don’t provide port number) and it will be available even when you’re offline. Using Python console is the easiest way to automate your QGIS workflow. It can be accessed via pressing Ctrl + Alt + P or navigating to Plugins -> Python Console. Note the above mentioned iface from qgis.utils module is exposed by default within the console, letting you interact with QGIS GUI. Try out the following examples. That was a very brief introduction to QGIS API, the next part will walk you through the console more thoroughly. Recently I’ve bought a book called Maps by Aleksandra Mizielinska and Daniel Mizielinski to my nephew. The book’s absolutely wonderful and made me want to try crafting a map with similar looks. I don’t do maps much at CleverMaps, so this was a great opportunity to find out what new features became available during the last months of QGIS development. 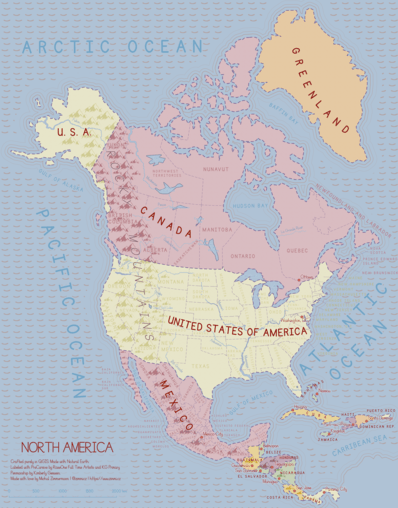 A map of North America in scale of 1:22,000,000 featuring the biggest lakes, rivers, mountain ranges and basic administrative units for the North American countries. I aimed for visually appealing overview map rather than perfectly correct topographic one. I used my beloved Natural Earth dataset for both cultural (boundaries, cities) and physical (rivers, lakes) map features. 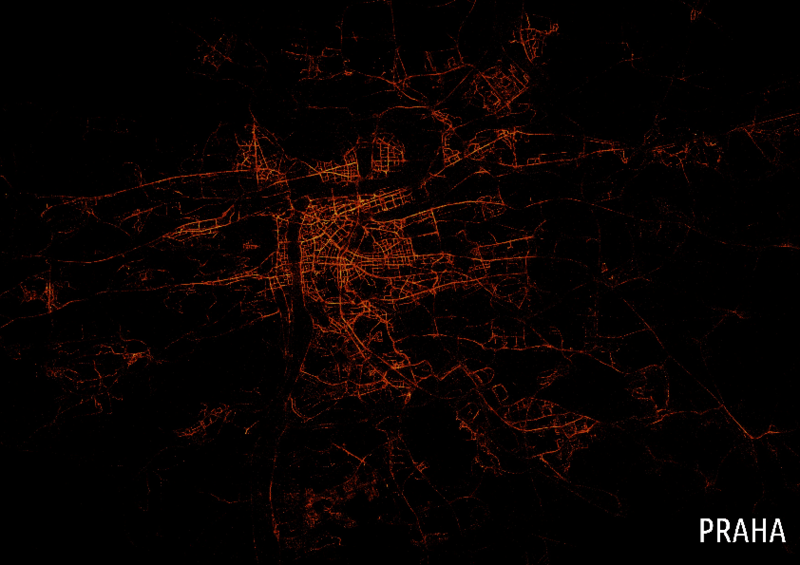 Different scales came to play for different map layers as they seemed a bit too/few simplified for the given scale. I usually use built-in system fonts (Ubuntu Condensed or such), but this kind of map needed a more handwritten looking, sort of childish font. After searching dafont.com I chose PreCursive by RaseOne Full Time Artists and KG Primary Penmanship by Kimberly Geswein. The mountain point symbol was one of the two custom symbols used on the map. It comes from BSGStudio. The ocean wave symbol was made by myself. I’ve used several techniques I find interesting enough to be listed here. For a long time I’ve considered coastlines a field for cartographic invention. They can be emphasized by shading or 3D effects. I chose the set of four parallel coastlines subtly disappearing into the sea, hopefully invoking the feeling of waves coming to the shore. It’s done by dissolving all the features and buffering them again and again. Buffered labels are usually hard to get right, because they fill so much space if the buffer color’s not corresponding to its surroundings. But choosing the proper color can be a real struggle at times. On this map, almost all the labels are buffered with the color of its surroundings, which makes them more legible, yet not too expressive. 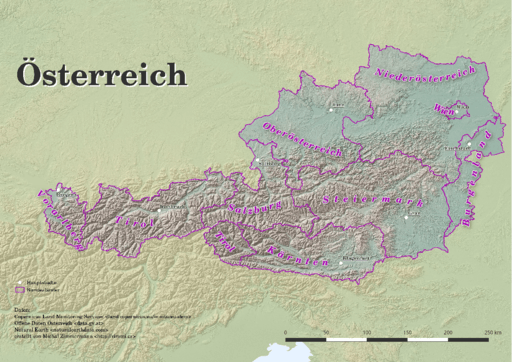 This is possible thanks to QGIS expression based properties that let you define unique styling to different map features. Where it isn’t possible (e.g. Bahamas or Honduras) to choose just one buffer color, the label is not buffered at all (or the semi-transparent white buffer is used). 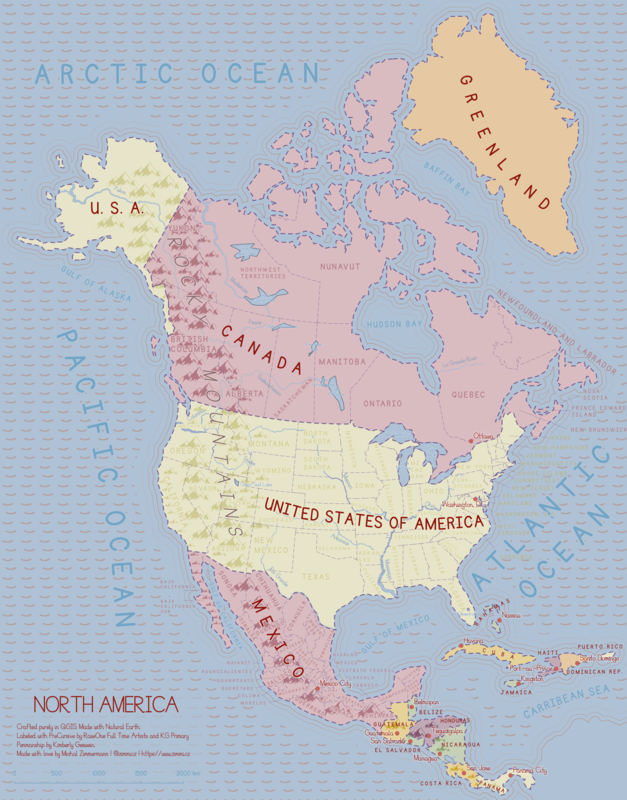 Note the Rocky Mountains label is split on the borders of the U.S.A. and Canada and its both parts match the background color. Rivers are tapered based on the Natural Earth’s width attribute value for each river segment. I’m used to put labels into separate layers in more complicated map compositions, especially when you need to draw label along path for areal features (such as countries or states). It becomes a bit harder to keep the features in sync with the labels though. I’d like to use only one layer for all the map layers in the future, as I feel that’s the way to go for the best labeling. Some labels just can’t fit the feature they belong to and QGIS lets you deal with this by wrapping labels on a special character, \ in my case. The mechanics behind layer blending modes are still a mystery to me, but they can add that little extra to a map very easily. Thanks to the Overlay blending mode, the Rocky Mountains may remain very subtle on different kinds of background. 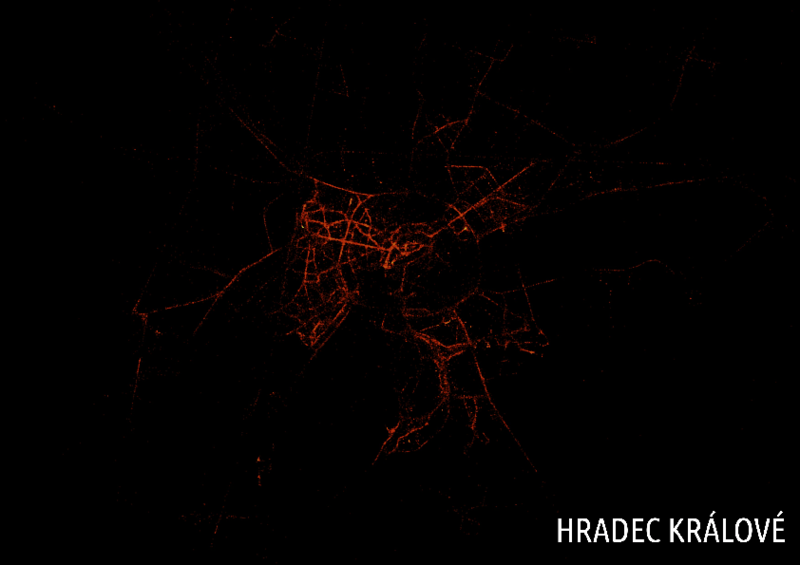 Wifileaks is a project by Jakub Čížek aimed to map the Czech wi-fi networks with Android/iOS app. 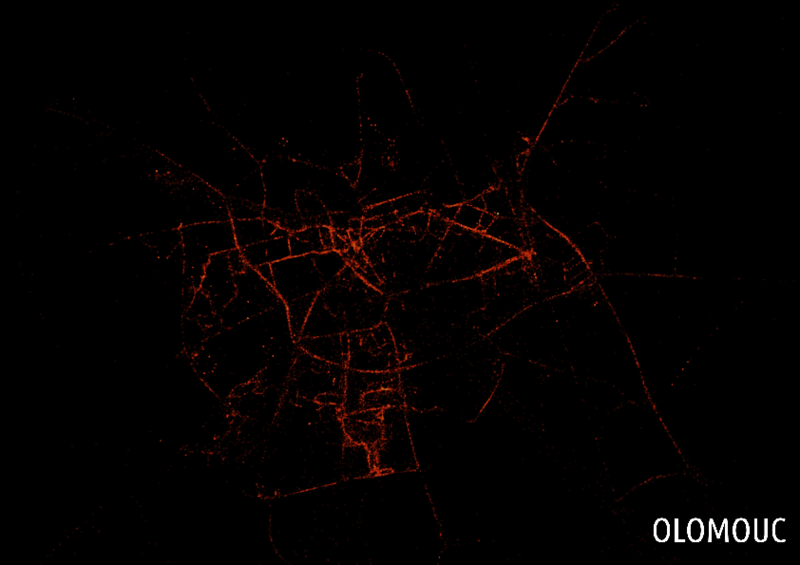 The data gathered by people using the app is available to download and features ~ 90,000,000 records, each representing the position of the cellphone when connecting to the network. Just about perfect to craft some maps! I ran out of disk space immediately after loading the dataset into the PostgreSQL database. After fiddling around I remembered that columnar store should be a bit space-friendlier than the old fashioned relational database. Thus, I installed the cstore_fdw by Citus Data in just few steps. This makes another FDW available to you inside the PostgreSQL. The actual foreign server has to be created before loading the data into a foreign table. To overcome these shortcomings I used COPY statement to spit out the slightly modified table and immediately loaded it back in. As mentioned, each row of data represents the cellphone’s location when connecting to a wi-fi network. To get real wi-fi transmitter position, I calculated the average of location of each cellphone ever connected (although the signal strength should be taken into account here as well). The Digital Elevation Model over Europe (EU-DEM) has been recently released for public usage at Copernicus Land Monitoring Services homepage. 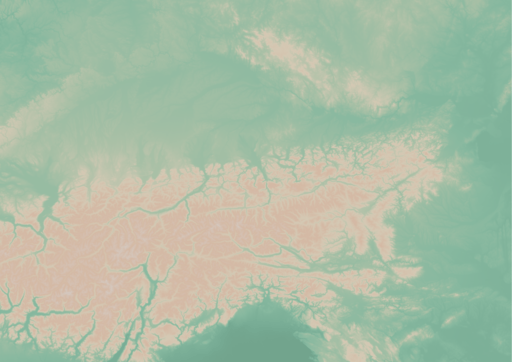 Strictly speaking, it is a digital surface model coming from weighted average of SRTM and ASTER GDEM with geographic accuracy of 25 m. Data are provided as GeoTIFF files projected in 1 degree by 1 degree tiles (projected to EPSG:3035), so they correspond to the SRTM naming convention. If you can’t see the map to choose the data to download, make sure you’re not using HTTPS Everywhere or similar browser plugin. I chose Austria to play with the data. It’s so easy I doubt it’s even worth a word. Get zipped data with wget, extract them to a directory. 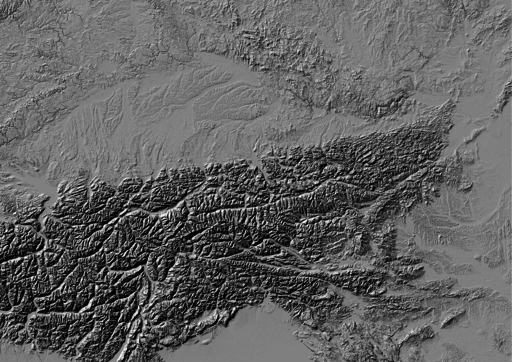 Use GDAL to create hillshade with a simple command. No need to use -s flag to convert units, it already comes in meters. Exaggerate heights a bit with -z flag. And here comes the Alps. To create a color relief you need a ramp of heights with colors. “The Development and Rationale of Cross-blended Hypsometric Tints” by T. Patterson and B. Jenny is a great read on hypsometric tints. They also give advice on what colors to choose in different environments (see the table at the last page of the article). I settled for warm humid color values. I created a color relief with another GDAL command. And here comes hypsometric tints. Add a bit of compression and some overviews to make it smaller and load faster. I chose Austria for its excessive amount of freely available datasets. What I didn’t take into consideration was my lack of knowledge when it comes to German (#fail). States come from data.gv.at and was dissolved from smaller administrative units. State capitals were downloaded from naturalearth.com. I’d like to add some more thematic layers in the future. And translate the map to English. INSPIRE Geoportal should be the first place you go to search for European spatial data (at last EU thinks so). 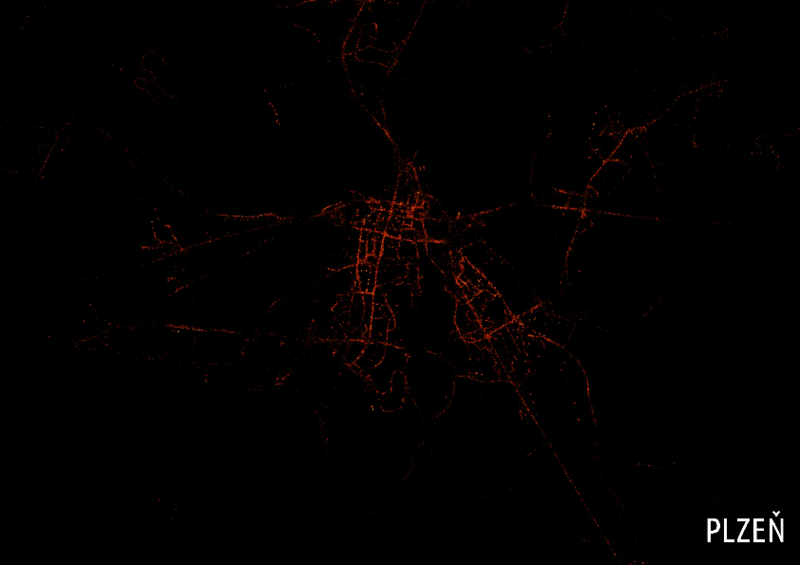 I used it to find data for this map and it was a very frustrating experience. It was actually more frustrating than using Austrian open data portal in German. Last news are from May 21, 2015, but the whole site looks and feels like deep 90s or early 2000 at least. 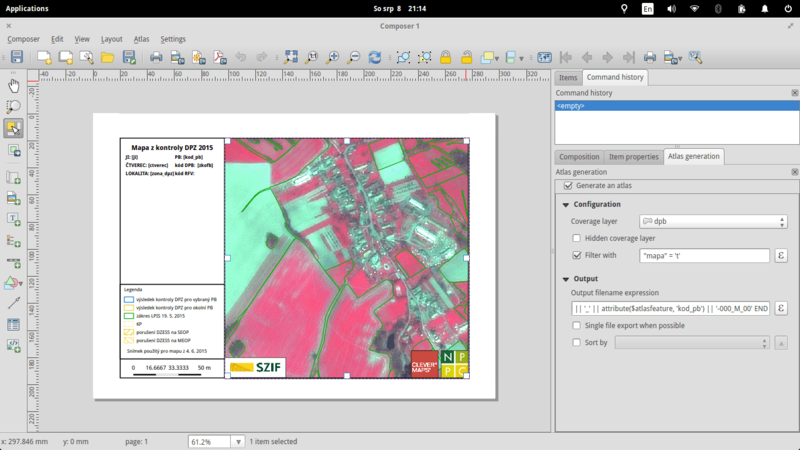 As mentioned in QGIS Tips For Collaborative Mapping we’re in the middle of crop evaluation project at CleverMaps. Let’s assume that with several lines of SQL code we can store these mentioned above in a table called land_blocks with geometries being the result of calling ST_Union() over parcels for each land block. Labels should be visible only for the featured land block (both for the land parcels and the land block itself. The whole map scales dynamically, showing small land blocks zoomed in and the large ones zoomed out. Now with requirements defined, let’s create some maps. 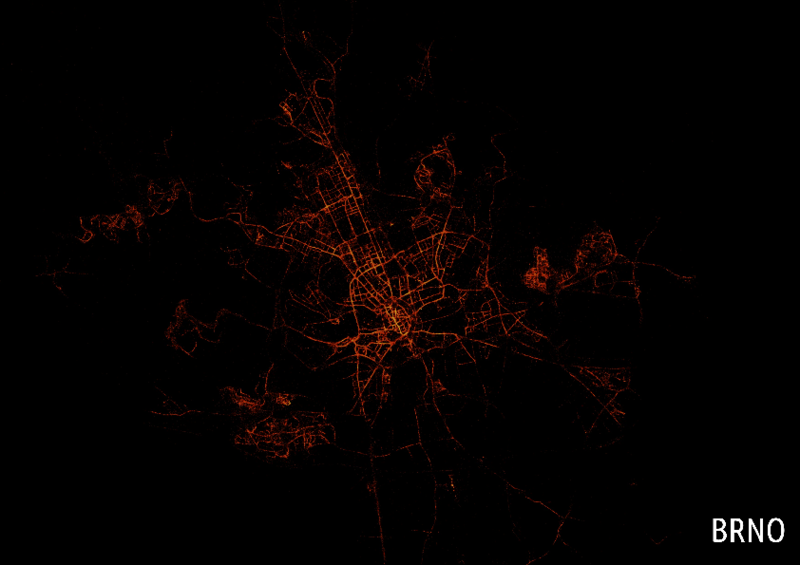 It’s incredibly easy to generate a series of maps with QGIS atlas options. Coverage layer is presumably the only thing you really need - as the name suggests, it covers your area of interest. 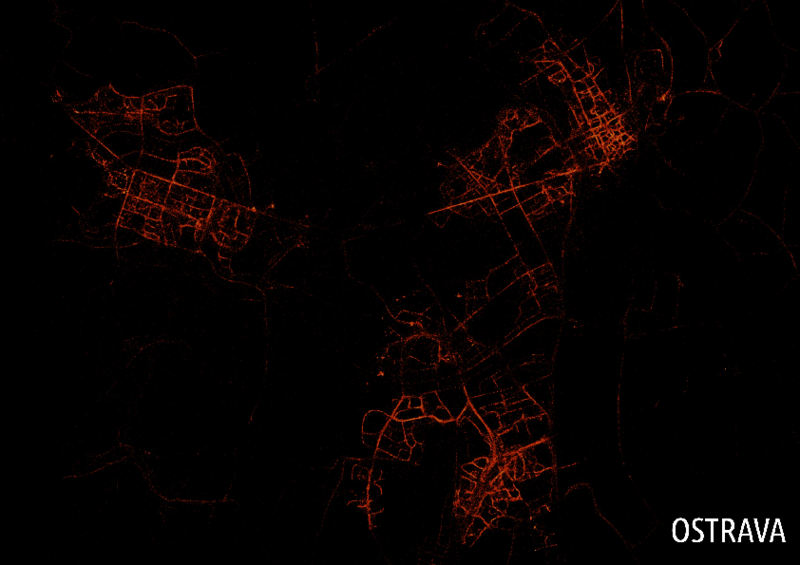 One map will be created for each feature in this layer, unless you decide to use some filtering - which I did. Output filenames can be tweaked to your needs, here’s what such a function might look like. If there is a slash in the land block ID (XXXXXXX/Y), the filename is set to USER-ID_XXXXXXX-00Y_M_00, USER-ID_XXXXXXX-000_M_00 otherwise. Scale uses decimal places, which I find a huge failure. Has anyone ever seen a map with such scale? The worst is there is no easy way to hide these, or at least I didn’t find one. You can see a bunch of [something in the brackets] notations. These will be substituted with actual values during the atlas generation. Showing land block ID with a preceeding label is as easy as [%concat('PB: ', "kod_pb")%] (mind the percentage sign). WHEN attribute($atlasfeature, 'kod_pb') = "kod_pb"
With this simple expression, I get labels only for those land parcels that are part of the mapped land block. 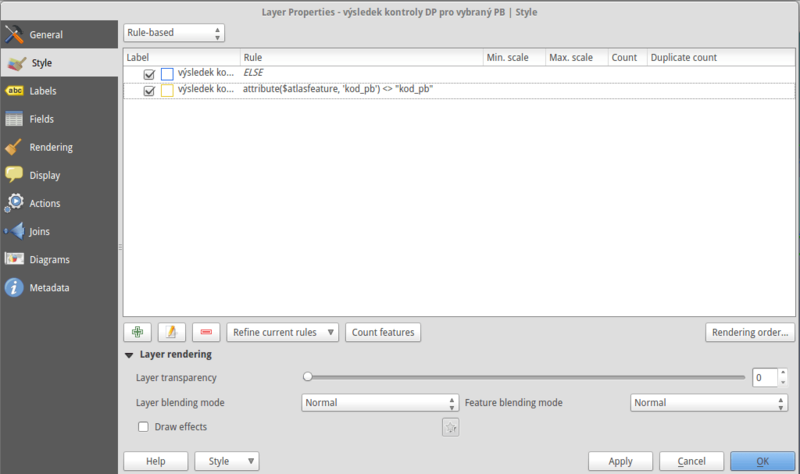 Even the layer style can be controlled with atlas feature. Land parcels inside the land block have blue borders, the rest is yellowish, remember? It’s a piece of cake with rule-based styling. When you’re set, atlas can be created with a single button. 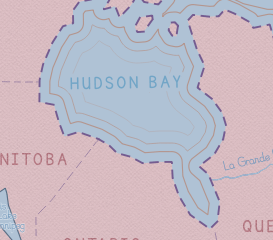 I used SVG as an output format to easily manipulate the map content afterwards. The resulting maps look like the one in the first picture without the text in the red rectangle. A Python script appends this to each map afterwards. Roughly speaking, generating 300 maps takes an hour or so, I guess that depends on the map complexity and hardware though. SVG output is just plain old XML that you can edit by hand or by script. A simple Python script, part of map post-processing, loads SVG from the database and adds it to the left pane of each map. '&lt;g fill="none" stroke="#000000" stroke-opacity="1" stroke-width="1"
Each column from the previous query is a result of SELECT similar to the one below. The transform="matrix(1.18081,0,0,1.18081,270.0,550.0) part puts the text on the right spot. Great finding about SVG is that it places each <text> element on the new line, so you don’t need to deal with calculating the position in your script. Scale adjustment is done with a dirty lambda function. I created pretty efficient semi-automated workflow using several open source technologies that saves me a lot of work. 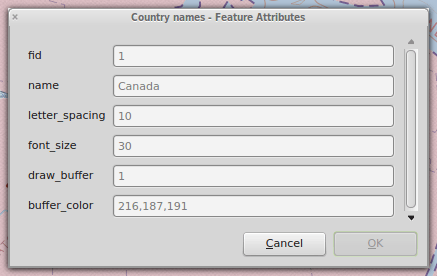 Although QGIS has some minor pet peeves (scale with decimal places, not showing the entire feature, not substituting variables at times), it definitely makes boring map creation quite amusing. The more I work with big data / on big tasks, the more I find Linux a must-have. The whole process was done with QGIS 2.10, PostGIS 2.1, PostgreSQL 9.3, Python 2.7, ImageMagick 6.7. Written by Michal Zimmermann. Proudly powered by Pelican, which takes great advantage of Python.